Reliance provides internet connectivity to its mobile users of Kolkata via GSM internet plans. There are varieties of data packs available for kolkata users in India. Internet packs of reliance kolkata comes with a special offer. In this offer, customers of reliance prepaid and postpaid also get a specific amount of talk time balance in their mobile alongside the internet connectivity. Although, the data limit is very low but you can choose a large data plan according to your requirements. 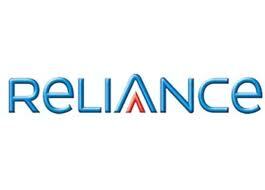 Following are the main internet packs for reliance gsm postpaid and prepaid users of Kolkata. Reliance Internet Plans For GSM Prepaid Customers: Users of Kolkata who are using Reliance GSM prepaid services have these three options to choose from. Unfortunately, there are no per day or per 3 days or per week plans for Kolkata users like other states of India such as New Delhi, Punjab and Chennai. *TT Stands for Talk Time. Reliance Internet Plans For GSM Postpaid Customers: Following two are the internet plans available for reliance postpaid users. The price given here also comes with other benefits such as Free Calls, SMS etc but as this article is meant for internet packs only so we are sharing details of internet data that given in each plan.